Explore Monte Carlo with AESU! Long before the James Bond films were made and the Las Vegas resort was built, Monte Carlo began as a small, bankrupt town on the coast of France. It wasn’t until late in the 19th century that the first casino was established on Monaco’s sun-kissed shores, and Monte Carlo slowly crept into the eyes of civilization. In 1850, the House of Grimaldi was desperate for cash and sought to build a casino in hopes of alleviating their crippling debt. The future Prince of Monaco, Charles III, assembled a team of Frenchmen to develop a plan to fund the project, which required 4 million francs. The lack of publicity and public transport failed to provide Charles with the capital he needed, and the casino rights were passed onto Pierre Auguste Daval as a result in 1857. The casino started to gain momentum in 1878 when the building was expanded to the designs of two renowned architects. By the 20th century, the casino was home to the Grand Theatre de Monte Carlo and the office of Les Ballets de Monte Carlo. It has served as the primary source of wealth for the Monaco economy. The casino is currently owned and operated by the Société des Bains de Mer, and players are offered the chance to attend a variety of gaming events and slot machine tournaments. 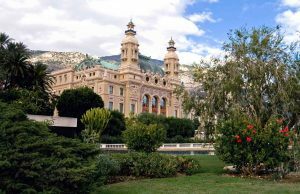 Monte Carlo is one of the leading tourist resorts in Europe, with a variety of attractions and destinations such as the Monaco Cathedral, the Napoleon Museum, and the Prince’s Palace. Visitors flock to the region to witness several different sports and leisure events commonly hosted by the Grimaldi Family. Monte Carlo is home to the Formula One Monaco Grand Prix, the European Poker Tour, and the Monte Carlo Masters. This entry was posted on Wednesday, November 1st, 2017	at 10:47 am	. You can follow any responses to this entry through the RSS 2.0	feed. Both comments and pings are currently closed.